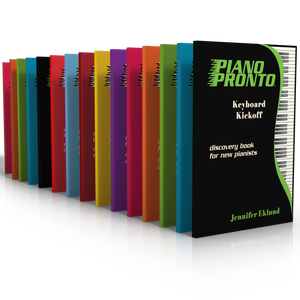 Use our free transfer guide to help place students in the appropriate level of the Piano Pronto series. Recommendations are given for both the method series and supplemental books. Updated and revised in August 2018. I am currently in the process of transferring all my students to Piano Pronto. They are on different methods so this assessment guide was super helpful for this process. Very, very useful! I have switched almost all of my students over to Piano Pronto. This transfer guide is invaluable when new students come using other methods. Very easy to figure out which level they need to be in! This assessment guide has been invaluable. I LOVE that I can put a piece in front of a student, have them sight read it, and then figure out based on that which book they should be in. It makes life so much easier! This guide was very helpful as I began to transition my students from the method books that I had been using for many years. I now start off all of my students, no matter what age, in this wonderful method. 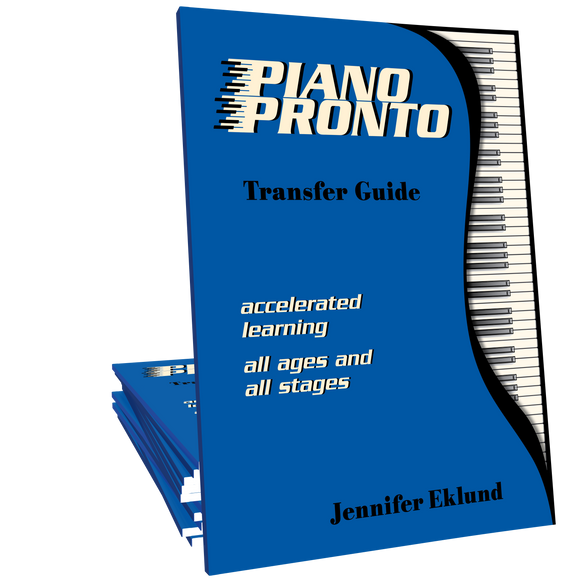 The Transfer Guide is an invaluable tool in transitioning my students over to the Piano Pronto Method. By working through the songs presented and evaluating the easiness or difficulty of the pieces, I've been able to successfully place my students in the appropriate Piano Method Book!